Our Industrial office chairs feature a seat and backrest made of moulded polyurethane, for ultimate durability and easy cleaning. This makes them suitable for use in labs, clean rooms and medical rooms, as well as offices. Although Industrial chairs are tough, they don’t compromise on comfort, support or adjustable features. Their backrests and seats are fully adjustable, and the chairs include smoothe-gliding castors, which allow quiet, easy movement and swivelling. 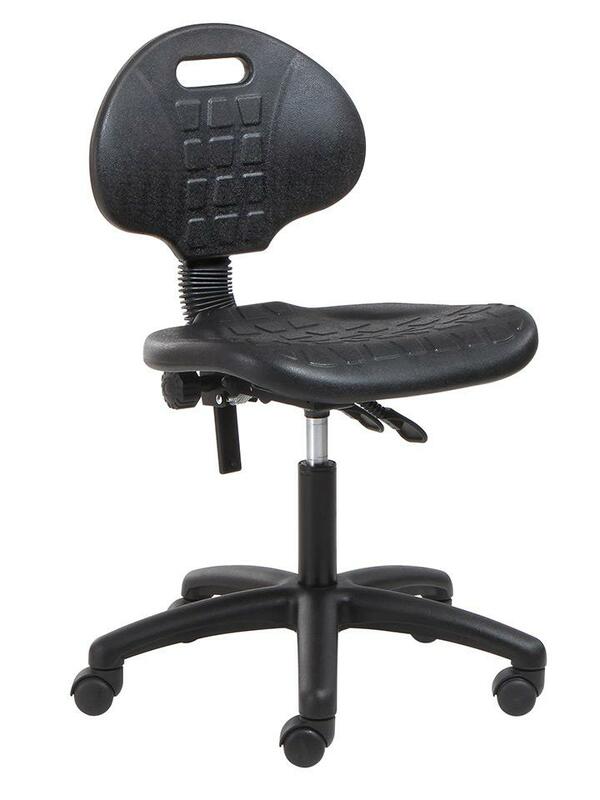 Our Industrial office chairs are exceptionally durable. We use only chair components of the highest quality. Like all our office chairs, our Industrial chairs come with a five-year guarantee. We provide expert after-sales support and repairs.